When the French government suggested a diplomatic initiative that might interfere with the White House agenda for war, the president responded by saying that the proposed scenario would "ratify terror." The date was July 24, 1964, the president was Lyndon Johnson and the war was in Vietnam. Four decades later, the anti-terror rationale is not just another argument for revving up the U.S. war machinery. Fighting "terror" is now the central rationale for war. "The contrast couldn't be clearer between the intentions and the hearts of those who care deeply about human rights and human liberty, and those who kill, those who've got such evil in their hearts that they will take the lives of innocent folks," President Bush said Thursday after the London bombings. "The war on terror goes on." A key requirement of this righteous war is that all inconvenient history must be deemed irrelevant. "By accepting the facile cliché that the battle under way against terrorism is a battle against evil, by easily branding those who fight us as the barbarians, we, like them, refuse to acknowledge our own culpability," journalist Chris Hedges has observed. "We ignore real injustices that have led many of those arrayed against us to their rage and despair." In the aftermath of 9/11, writer Joan Didion critiqued "the wearying enthusiasm for excoriating anyone who suggested that it could be useful to bring at least a minimal degree of historical reference to bear on the event." Overwhelmingly, politicians and pundits were quick to get in a groove of condemning any sensible assertions "that events have histories, political life has consequences, and the people who led this country and the people who wrote and spoke about the way this country was led were guilty of trying to infantilize its citizens if they continued to pretend otherwise." Voices of reason, even when they've come from within the country's military establishment, have been shunted aside. In late November 2002, a retired U.S. Army general, William Odom, told C-SPAN viewers: "Terrorism is not an enemy. It cannot be defeated. It's a tactic. It's about as sensible to say we declare war on night attacks and expect we're going to win that war. We're not going to win the war on terrorism. And it does whip up fear. Acts of terror have never brought down liberal democracies. Acts of parliament have closed a few." Two years after 9/11, Norman Mailer asked: "What does it profit us if we gain extreme security and lose our democracy? Not everyone in Iraq, after all, was getting their hands and/or their ears cut off by Saddam Hussein. In the middle of that society were hordes of Iraqis who had all the security they needed even if there was no freedom other than the full-fledged liberty offered by dictators to be free to speak with hyperbolic hosannas for the leader. So, yes, there are more important things to safeguard than security and one of them is to protect the much-beleaguered integrity of our democracy. The final question in these matters suggests itself. Can leaders who lie as a way of life protect any way of life?" The president who lied his way into an invasion of Iraq is now exploiting Thursday's atrocities in London to justify U.S. policies that are bringing daily atrocities to Iraq. 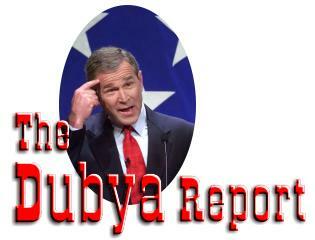 Bush is intent on sending a message to "the terrorists" by continuing the Pentagon's war effort. The idea of communicating by killing is very familiar. There's nothing new about claiming to send a righteous message with bullets and bombs. In his book "War Is a Force That Gives Us Meaning," former war correspondent Chris Hedges writes that he saw such transmissions up close: "Corpses in wartime often deliver messages. The death squads in El Salvador dumped three bodies in the parking lot of the Camino Real Hotel in San Salvador, where the journalists were based, early one morning. Death threats against us were stuffed in the mouths of the bodies." Hedges adds: "And, on a larger scale, Washington uses murder and corpses to transmit its wrath. We delivered such incendiary messages in Vietnam, Iraq, Serbia, and Afghanistan. Osama bin Laden has learned to speak the language of modern industrial warfare." And Hedges notes: "It was Robert McNamara, the American Secretary of Defense in the summer of 1965, who defined the bombing raids that would eventually leave hundreds of thousands of civilians north of Saigon dead as a means of communication to the Communist regime in Hanoi." Forty years later, with a "war on terrorism" serving as the central theme of pro-war propaganda, the United States and its military allies are routinely sending lethal messages. It should not surprise us when such messages are returned to sender. Norman Solomon's latest book is "War Made Easy: How Presidents and Pundits Keep Spinning Us to Death." (See WarMadeEasy.com.) His syndicated column focuses on media and politics. He is a regular contributor to Media Monitors Network.